Experience the thrill of stepping off a cliff edge into space… under the control of a safety rope of course! 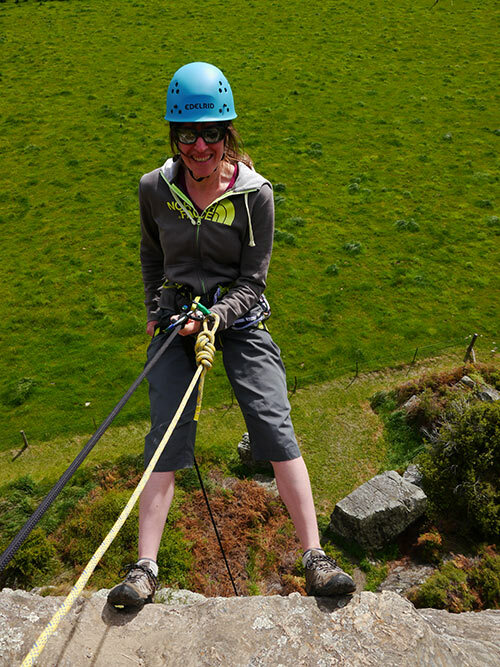 Abseiling is as much mentally challenging as it is physical, our instructors will lead you through the basics at ground level first before taking you to the top, all on the doorstep of Mt Aspiring National Park. The ‘introduction to rock climbing’ is our most popular trip, you get the opportunity to experience outdoor rock climbing in a safe and fun way, focusing on maximum time actually climbing, whilst learning safe practices and good technique along the way. It is ideal for those who have never climbed before, or only on an indoor wall. Push yourself mentally and physically by learning to lead climb in New Zealand’s premiere (and most scenic) sport climbing venue. This is the trip YOU want, because its custom designed especially for you. Weather you want to experience the best of Wanaka rock, would rather a personal guide or if you are an experienced climber but didn’t bring a climbing partner or your gear with you. Our team will be happy to show you the best routes suited to your ability and objectives. A true climbing journey, for some of us its not enough to climb just one rope length up, we want to go further. Ever wondered about climbing where there are no bolts? The answer is Trad Climbing. Based out of Basecamp Wanaka - 50 Cardrona Valley Road, Wanaka 9305.